For many years, dental implants have been the option of choice to replace missing teeth. They are a more lifelike tooth replacement than bridges and full or partial dentures. Selecting a Houston dental implant specialist, however, is not necessarily a simple matter. You want someone with not only dental experience, but deep knowledge about the dental implant procedure. Dr. Steve Koo at Piney Point Oral and Maxillofacial Surgery is the oral surgeon Houston residents trusts to perform competent and professional dental implant surgery. Essentially, a dental implant is a tooth replacement that restores your entire tooth from root to crown. The oral procedure begins with Dr. Koo surgically implanting a titanium post in the jaw bone beneath the open socket of your missing tooth. This post—the actual implant—provides a stable foundation and helps avert the deterioration of bone that can happen when a tooth is missing. Who Should Perform Your Dental Implant in Houston? All dentists are qualified to perform dental implant surgery by virtue of the fact they are dentists. But as the patient receiving the implant, you must be cautious. 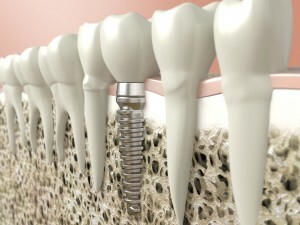 Many dentists have not had specific training for dental implants. Dr. Koo, on the other hand, is the oral surgeon Houston knows has the training and experience to expertly perform this delicate procedure. As a member of The American Association of Oral and Maxillofacial Surgery, Texas Dental Association, and American Dental Association, Dr. Koo is required to stay abreast of the latest developments in the dentistry field by taking continuing education courses. Moreover, his education and training in dentistry, oral and maxillofacial surgery, preeminently qualify Dr. Koo to expertly perform dental implant surgery for you. If you would like to learn more about dental implants, call the dental office of Piney Point Oral and Maxillofacial Surgery at (713) 783-5560 to schedule a consultation with oral surgeon, Dr. Koo. We conveniently serve patients throughout Houston, TX, as well as the surrounding communities of Stafford, Meyerland, Bellaire, Lamar Terrace, Galleria, Briargrove, Rice Military, Heights, Bunker Hill Village, Hunters Creek Village, Hedwig Village, and Katy, TX.